Topic: Back in the DCUG! Howdy folks! So, as some of y'all may know, I've finally returned to the DCUG after many, many years letting it lie fallow. The DC Universe According to Grey is, as the title suggests, my love letter to and personal take on the DC Comics Universe. It’s got a Bronze Age flavor with modern sensibilities, and it is packed with four color heroes. 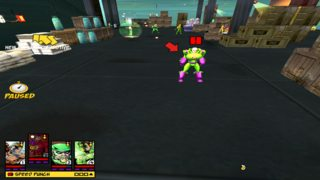 It is a massive, sprawling mod, including hundreds of characters, all painstakingly crafted, customized, and balanced, created in as fine a detail and with as much faithfulness and completeness as I could manage, all playable in the sandbox mode of the greatest superhero game of all time, Freedom Force vs. The Third Reich. 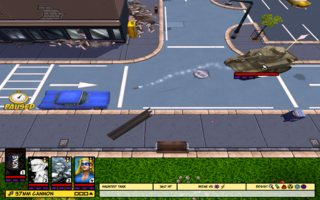 The mod also includes dozens of maps and dozens of playable missions across several different campaigns. And it all began with a desire to have my own little playground, to get my favorite superheroes and their world ‘right’, as I saw it. 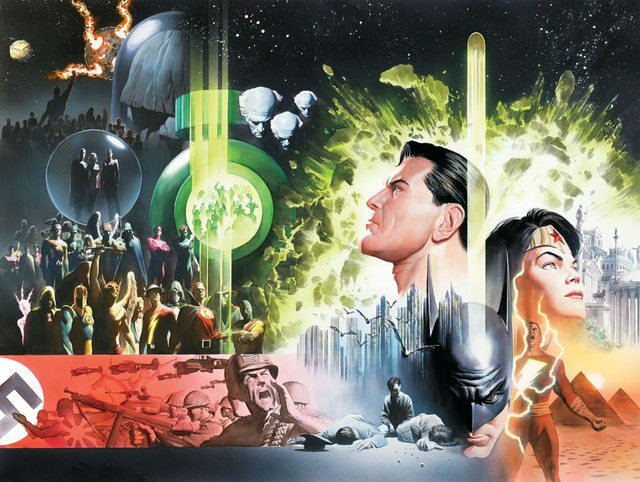 I love the characters and the world that DC Comics created, and for my money, it doesn’t get any better than the wonderful, archetypal glory of Superman, Batman, Wonder Woman, the Justice League, and the rest. I grew up reading Batman off the spinner rack, watching re-runs of Super Friends, catching Batman: The Animated Series after school, and rediscovering the joys and wonders of the DCU in college with Justice League: The Animated Series. 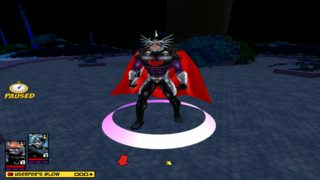 I have a deep and abiding affection for DC Comics and their characters, but when I started modding so many years ago, I wasn’t finding much in those current comic incarnations that I recognized or enjoyed. My heroes were angry, angsty, broken, and pretty thoroughly unheroic. Their world was dirty, dark, and lacking the joy and hope that, seem to me, part of the inherent, archetypal appeal of comics. The excellent, colorful, heroic, yet thoughtful portrayals in the Timmverse shows, mixing the classic characters with modern storytelling sensibilities and an incredible quality of craftsmanship, was the exception rather than the rule, and I decided, since I couldn’t find what I wanted in comics, I would create it for myself in Freedom Force. My goal was to create a massive, single-authored version of the DC Universe, approaching the whole world with a single plan and a consistent ethos and re-writing DC history as I saw fit. So, I started with my favorite era of DC Comics, the Bronze Age. For my money, the Bronze Age is the best, purest, most heroic, and most joyful incarnation of those characters and settings, despite having plenty of flaws. It also gave us a more mature, in the true sense, approach to superheroics, with greater depth and sophistication than the Silver Age. Still, the Bronze Age DCU does have plenty of flaws. My goal was to smooth out the rough edges, keeping the fun, joyful heroism of the era, yet mixing it with the more coherent, rational sensibilities of post-Crisis innovations and the maturation of the genre. No Emerald Twilight for Hal, no musical coffins for deceased characters, no rotating cast of Robins, nor ten different origins for Hawkman, just one long, single-authored storyline. In a perfect world, I would love a crack at actually writing, or at least editing, a whole DC Universe of stories, but short of the powers that be at DC drawing my name out of the phonebook and handing me the reins to the company, this is the next best thing. 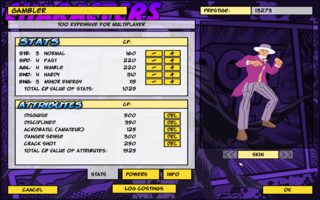 So, I spent several years putting together the DC Universe in Freedom Force: skins, meshes, herofiles, my own voicepacks, and a whole host of campaigns that utilize more DC characters than you can shake a cosmic staff at. So, what is my version of the DCU? Chances are, it will look pretty similar to a DC you know, unless you know the movies. In that case, I’m so sorry. Essentially, I tried to take the ‘best of all worlds’ approach that the Timmverse shows employed, and, in fact, often based my versions of characters or concepts off of their takes on them. Nonetheless, the mod’s vast cast of characters and their interpretations are predominantly from the Bronze Age, with some notable exceptions by way of particularly great characters or concepts. For example, anyone going from the businessman version of Lex Luthor back to the simple mad scientist version is, to my mind, moving backwards in more ways than one. The continuity is largely of Bronze vintage too, though with much of the streamlining of the latter, Post-Crisis stories. For example, While Hawkman is space cop Katar Hol, without all the worry about reincarnations and tangled histories, the Justice Society existed in the same universe as the Justice League, albeit earlier in history. The JSA thus had no Superman or Batman. Yet, the Big 7 still found the Justice League. My version of the universe is heavily influenced by the ‘Timm-here’s of DC cartoons, like Batman: TAS, Superman:TAS, and JLU. Timm and co. In fact, all of B:TAS (except the subpar ’new episodes of the final season) and S:TAS can be considered as ‘canon’ for the mod. My Batman campaign actually draws on the events on an episode from that show as the inciting incident for its plot. Superman: TAS can also be considered DCUG ‘canon,’ for the most part. JLU, though providing a lot of the inspiration for my Justice League stories, is too different in its approach to the League’s composition to be direct canon, but it is definitely an inspiration and I see it as marking, in broad strokes, the story that I am telling with the team. I've always wanted to return to my first and favorite project and tell more stories, fix it up, and polish the whole mod. That's what I'm up to. I've got a TON of work to do and almost certainly unrealistic plans for its development, but I am plugging away at it. Time is a very rare commodity for me at the moment, as I'm finishing my PhD, dealing with a fair amount of general craziness, and searching for jobs, but I still manage to put a bit of work into this monster from time to time. There's not even a tentative release date yet, but I will say that I've already written and designed a major expansion for the JLA/JSA campaign, including a conclusion to the unfinished JSA crossover. I'm in the midst of testing that at the moment, and after that...well, I've got a lot of ideas and made extensive notes while traveling this summer. This thread is an announcement and a new home-base for the project, but I'm also going to use it to keep anyone interested apprised of my progress. I'll post 'developer's journals' from time to time, talking about what I'm doing, offering general commentary on the project, and probably mostly just griping about bugs. Feel free to ask questions and offer suggestions. Interest from the community is one of the things that keeps me going! Okay, let's try this out. There will be some spoilers for the campaign stories, so read at your own peril. So, while traveling this summer, I had a really helpful email correspondence with Unkoman, who helped me plot several new campaigns and expansions for existing ones. 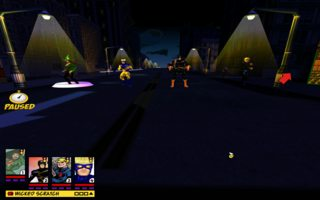 The centerpiece of my DCUG 2.0 update/expansion is a finished/polished JLA campaign that also provides a significant expansion in the form of half a dozen new missions featuring Green Arrow's recruitment to the team, the first encounters with the Injustice Gang, and the first battles with the Key. I created a really fun but, of course, overly ambitious outline. I wrote it all up, added new materials to the mod, set up the maps, and got it all ready to test weeks ago. Since then I've been very busy, and of course, only able to test and troubleshoot occasionally. Of course, my attempts to get fancy have led to tons of bugs and lots of frustration. I had a little time recently and got back to it. I've been working on level 14 of the JLA campaign, where Green Arrow is jumping from pocket universe to pocket universe to rescue the JLA who have been scattered through the multiverse by the Key. 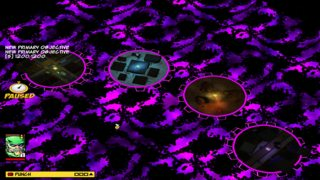 I'm using the 'disk worlds' maps from the finale of , which makes for a really cool level. Unfortunately, the maps have some issues. More unfortunately, my scripts had issues! 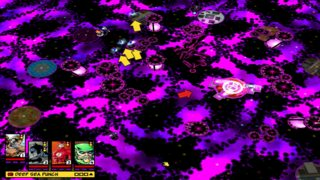 I think every single encounter had bugs, and I eventually had to create workarounds for certain parts of it. I fixed that by just starting all the encounters at once. Then, inexplicably, the Flash would somehow join your team twice, meaning there was no room for poor Aquaman....again. I had to split that up into two encounters, one where you rescue Flash, one where that Flash is destroyed and a different one joins the team. After I finally solved that I discovered that the diskworld he is on has pathing issues. I've got an idea about that, but I haven't tried it yet. Finally, Aquaman's wasn't properly rescueable in his custom encounter, so I had to change it up too. I've finally got this mission mostly sorted out...and now I face another one in mission 15, where you save the rest of the team. I honestly don't know that I've ever had a mission with so many problems per-capita! Let this be a lesson to you, future modders: don't get fancy! The good news is I'm still making progress, and the campaign is coming together well. I'm also really happy with a lot of how I've designed these missions and the base scenes. I know SO much more about modding these days than I did when I made the DCUG in the first place, and it's nice to be able to bring a little higher production value to the stories I'm telling. I'm still often limited by EZScript and the available maps, but I've been able to find some fun ways to change things up. I hope y'all will agree with me when you get a chance to play these missions! 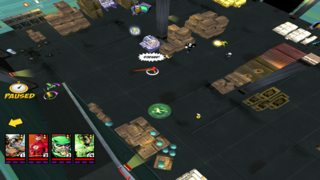 Finally, I posted an add for a map maker on ModDB. 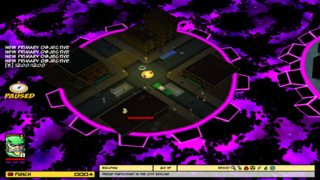 Since it's just an unpaid position working on a decade old game, chances are nothing will come of it, but it would be really fantastic if I could get some help with map creation. That could open up so many possibilities and free up an incredible amount of time for me. So, cross your fingers, gang! Re: Back in the DCUG! Haha, that's very true, DJ. It's just a matter of time! How do you feel about Hawkman villains? Very cool, Benton! I love reading Dev Diaries and I would love to see more! The mission sounds really cool. I really like the idea you have going there. Did you modify the map at all to fit the homes of Aquaman, Superman, etc., or did you try and pick heroes that best matched the locations already on the map? Thanks Spyder! I appreciate your interest and enthusiasm, man! Because of the massive scope of what I'm doing, I decided to try to do as little map editing as possible. I just don't have the time, temperament, or inclination to be as awesome as Cmdrkoening, sadly. So, I tried to pick characters that fit the various locations, and luckily for me, it actually worked out reasonably well. I am stretching things a bit for Hal in the next mission, but I'll talk about that in the next entry. However, interestingly enough, my Hail Mary job post on ModDB somehow already got a bite, so I might just have a map maker working with me in the future, which would be really, really fantastic. Haha, yep, they're almost as famous as the Atom's villains! Quick, name any two characters in this group shot! It's sad but funny, in this group shot of Atom-foes, literally half of them are one-shot villains that never appeared again after showing up just once in the original Atom book. Nonetheless, most of them are in the DCUG! Ha, this is why a lot of second string characters ARE second string. A hero is only as good as their villains. And Gentleman Ghost and Shadow Thief! And...uhh...well...there's also....Lionmane? In truth, Atom is a bit like the FF. 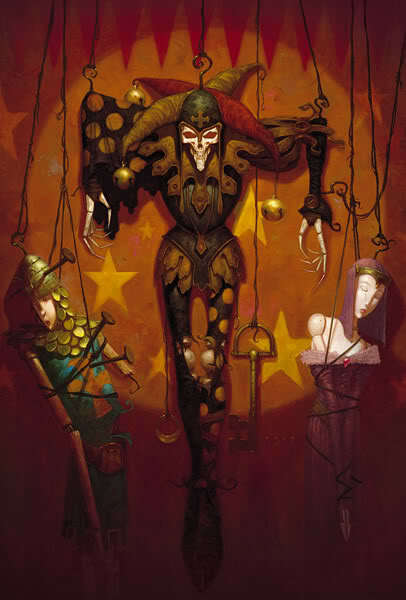 They don't really need many villians because most of their story lines revolve around them exploring new places and playing with new experiments. When both comics got away from that idea - explorers over heroes - is when both started seeing their readership slip because of the tiny amount of good villians. Hawkman, though, is a warrior and NEEDS a plethora of good villians to stay relevant. Problem is - aside from himself at times - Hawkman's villians stink. It's why he does better in a team like JLA or JSA that has a well stocked rouges gallery than in his own comic. Fair point, though FF has way more good villains than the Atom. He works best in a comic about ideas rather than a comic about villains. That's one of the things that made the Ryan Choi series so fantastic, lost of big, crazy ideas, and the Atom as the eye of the hurricane. Yeah, Hawkman has some cool villains, or rather, like most Silver Age characters, he had at least a few that had potential, but a lot of them never really got a good shot. Ooookay....I've hit a major snag. I've come across a really weird problem, and I need some help. 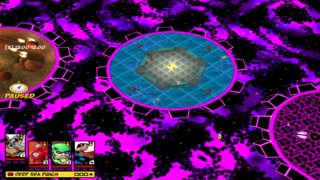 I’m using the converted FF1 map of the final Timemaster battle, the giant, spinning purple Cosmic Clock level (24d), with all the little disk worlds around it. The trouble is, the map surface is inaccessible. It shows up perfectly fine, visually, but characters can’t move on it, and if I teleport them around, they just slowly slide back to where they started. I’ve got no clue what’s going on or how to fix it. Any ideas? This is the big setpiece finale of the Key arc, and this map is perfect for it...it's rather integral. If someone who knows something about nifs could take a look at the map file, try to suss out what the deal is and how to fix it, I'd really appreciate it. That's easy now that I can see the pic...we got in no particular order Bug-Eyed Bandit, the Panther (the Wildcat lookalike), Wizardo (the Human Bomb lookalike), Ion Mask (on the far right), and is that Mento beside Bug-Eyed? Okay...that's darn impressive DJ! Even I didn't know the name of the Human Bomb guy! That's The Thinker instead of Mento, but otherwise, homerun! Ha, unfortunately for you, you've given me an idea! Check your PMs! Muahahaha! On the map front, thanks for taking a stab at it, man! I was pretty darn lost. Fortunately, DM gave me a clue in my other thread, and I was able to sort it out. I'm actually talking about that in my next Developer's Journal. Hoo-boy, things have certainly not gone more smoothly since my first journal entry. This campaign has given me even more troubles. I encountered a whole set of problems I'd never seen before and just about gave up hope for the finale of the whole darn arc I'm working on. In the process, I learned a whole lot about maps and objects that I never knew, though I still couldn't solve my problems. The good news is that this story has a happy ending, even if it was really in doubt there for a while. Fortunately, I had learned from the previous problems, and I anticipated some of the issues in this mission. I started all of the encounters off at once to avoid the non-completing encounter bug. Still, I had problems with the custom encounters for MM and GL. WW's encounter worked pretty well, but I discovered that I hadn't created a animportrait (talking head) entry for the Amazons that provided her opponents. Interestingly, sometimes a missing head.nif or entry will crash the game, sometimes it will just show a dialog balloon with a blank space. I'm not sure what causes the different reactions. This instance only resulted in the latter, thankfully. 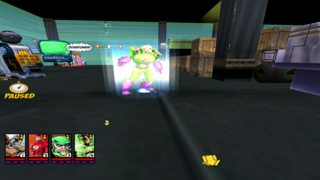 I was able to fix MM's encounter by doing the same thing I had one with Flash, using two different encounters with two different MMs, to get both the rescue and the alliance. This one provided an extra challenge, though, as with so many more characters in play, it isn't as easy to make the substitution and teleportation as seamless and unnoticeable. Complicating the matter further, the encounter in question is a 'Rescue Fire,' which means the diskworld is sort of a hot place, and my players aren't going to want to hang around there! I'll have teleport my new Jonn to the old one and hope for the best. Here's the pertinent script. jonn says, "Thank you my friends, once again, I owe you my life. I would not have lasted long in this fiery world. these flame creatures seem to be everywhere, and the ground burns constantly." flash says, "Don't worry about it, J'onn, that's what we do. Now let's get out of here!" green_arrow says, "Right, just one more little lost lamb and we'll have the whole set. Maybe then I can go home!" It was here that I really ran into problems, the first of many in this batch of testing, unfortunately. The GL encounter was only partially working, but the real problem was that my heroes teleported onto the center of the map...and then couldn't get off of it! 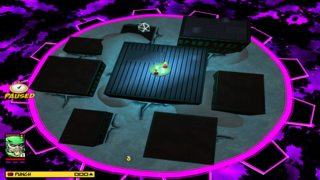 They teleported into the middle of a number of turrets, which were on the edges of the disk, and the team literally could not move to them or reach the Lantern to free him. There was some type of issue with this particular diskworld that made its edges impassable. I tried tweaking it in Nifksope, but no luck. I really don't know enough about meshes OR maps to figure this out. So, I had to adjust my story, throwing out that entire encounter or reworking it to fit somewhere else. I chose the latter, moving his encounter to the final disk, a Timemaster-flavored world, and I switched up the plot slightly. I'm fairly happy with the results, but it gave me a bad moment or two. Of course, that was nothing compared to what happened when I went on to #16. You see, that problem I had with the outskirts of that one diskworld, in the final Timemaster map I was using for the grand showdown with the Key, the ENTIRE map was impassable. My heroes couldn't go anywhere, and if I teleported them around with console commands, they would slowly slide back to where they came from. Once again, I examined the terrain.nif, but I couldn't make heads or tails of what I was seeing. I posted on FR, and fortunately, the ever-awesome Detourne_me came to my rescue. He didn't know how to solve the problem, but he got me looking in the right directions. He pointed out that the actual play area of the map was a giant game object, not part of the map itself. I checked the object attributes of the "cog_massive", digging through FFEdit's manual to make sure that it had all the necessary attributes, but no luck. It's worth mentioning that there are explanations for each of the mysteries (to me at least) template attributes in the manual. If you're ever tying to figure them out, you can check objattributes for a complete listing. I checked the terrain itself, which DM had suggested might be the culprit. Its bottom surface, far below the giant spinning cog, was composed of two levels, and each had an "AREA_UNPASSABLE" label. DM posited that this might cause problems to anything over such an area, so I tried renaming them. Progress! Unfortunately, this only got me one step closer. Now my characters could move...on the very bottom level of the map, as they would fall through the cog any time I teleported them up there. I fought and fought with this thing before I hit on a solution. I finally just copied the cog object directly onto the terrain.nif. It took a few tries, but I got it right, and I finally had a workable map! Now I only had to get the script working! Fortunately, despite the fact that the big finale encounter only partially functioned, it was a very easy fix. It features a showdown with the Key, where he is invulnerable until you destroy an object. The CSes weren't playing, and the object wasn't showing up. Turns out, I had misspelled the object name (d'oh!0 and mixed my metaphors, so to speak, in naming the Key. You see, FF doesn't like it when you refer to a character in two different ways. You can use generic terms (like Villain1) OR specific names, like the_key, but you CANNOT use both, or it will choke. So, easy fixes, and now the mission is playing quite nicely. That wraps up this journal entry. Please let me know if this is interesting to y'all, and if there is anything you'd like to hear more/less about, or if you'd like me to illustrate other parts of the process. Amazing what a little think-hard and hammer-smashing can do for a dev. Awesome news that you got it working! It is a very cool idea and I was worried that all this hard work was all going to be for naught. Thanks Spyder! I was getting worried about that as well! Fortunately, we are headed further up and further in! Welcome back Freedom Fans! Today's journal covers some more testing, but it also has a teaser for something that is just starting to come together! I have been working on testing the final expansion JLA mission (other than the JSA conclusion missions), #17. This features the conclusion of the Injustice Gang storyline, with the League ambushing the Gang in their headquarters, much to their surprise! I drew heavily on the excellent JL:TAS two-parter, "Injustice for All" for inspiration for this story. Like the second episode of that arc, we begin with Batman captured and with the League rushing to his rescue. However, Luthor has an ace up his sleeve, and the villains have backup in the form of the deadly dangerous Amazo! Hero says, "Look! If we can get to Luthor's equipment, we might be able to disable the android!" bob says, "Nooo! I had only begun...to live...!" The mission itself was, once again, a bit of a mess at first, but fortunately, it was mostly an easy fix. I had mixed my metaphors again in the main CS where the heroes confront the villains, using 'real' names (black_manta, cheetah, etc) instead of the substitution names I had given those characters so I could manipulate them between encounters (wet, cat, etc). That kept the CS from playing. You see, I had split the villains into two encounters, with Luthor in one and the rest of the Gang in another. I did this because I had to get clever to work around Luthor's Energy Shield interrogation bug, which I described in the first journal entry. I had a devil of a time coming up with a workaround. The simple thing would be to just use a Cutscene encounter with a new Lex after the defeat of the first, but this would mean you wouldn't have to defeat the entire team to win. I tried using that strategy, but starting the CS with a "Starts When" condition, triggered once the other encounters are finished, but those are always temperamental. It didn't work, so I tried a LOT of other things before settling on an unorthodox solution. I made the final encounter a custom one, with conditions to turn off Lex's AI and the "Allies Want to Chat" condition, meaning he's interrogatable, without having to be defeated first. This means that you won't be able to talk to Lex until there are no enemies near by. It's not a perfect solution, but it gets us much closer. Now, chances are, players will finish off everyone else before trying to talk to Lex. Unfortunately, the Chat encounters have never really worked, but I got around this too. 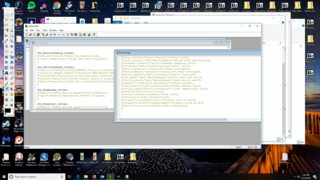 I made the CS the End Cutscene for the encounter, so even though a Chat CS won't work, as soon as the players click on Lex, the End CS plays, which has the same function. And, viola, we've got a functional mission that even has some neat features. With those intermediary missions finished, I'm on to the new JSA missions! First, however, I haven't just been working on testing. No, I've been hard at work updating and tweaking other parts of the DCUG as well, and with the help of our riduclously talented and awesome community, I have a few new additions to show off. There are a ton of really fantastic meshes, skins, and skopes out there for my favorite hero, Aquaman. However, as you might imagine, I'm a tad picky about him, seeing as he is my favorite. 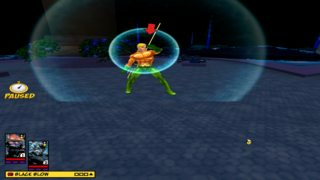 So, with the help of the community, and especially Detourne_me, I got an all-star team of mesh, skope, skin, and keys to create my ideal Aquaman for FF. I also tweaked his powers and abilities, and he's now more awesome than ever, incorporating his magic trident and giving him more options in a fight. I even changed up his aquatic telepathy to use the 'doot-doot-doot' sound effect from the classic cartoon! This awesome Aquaman deserved equally awesome villains, so I asked Deanjo2000 to customize some new versions of Black Manta and Ocean Master. The results are just plain stunning! Dean really did an exceptional job on both, but his Orm is especially great because he was able to take my vague, unhelpful requests, and turn them into a really nice version of the New 52 look for the character that also incorporates some classic elements as well. And finally, Detourne_me came through once more, providing me with something I expected to be quite tough, and doing it in record time as well! 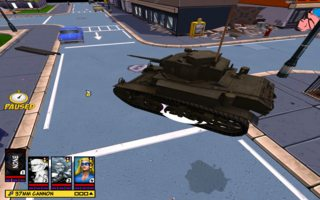 Feast your eyes on a classic piece of DC war-comic history....the Haunted Tank! These are only the beginning, too! I've got several more skopes/skins from Dean and from others that I'm going to be using to update and expand the mod in the days to come. I'll post some teases for such updates in these journals from time to time! A great job with my favorite heroes. The "motor" of this game is awesome. Sry foy my english Argentino", where i can download ? Howdy Caslu! Welcome to the boards! Thanks for the kind words! Yeah, the "motor" of is a pretty fantastic one. The mod is not finished yet. It is still in development, and will be for some time. It is a very BIG project, after all. I think you did fine with your English. Feel free to check out some of my other mods and all of the amazing things this community has to offer. Stay awhile! Howdy folks! Time for another dev journal! 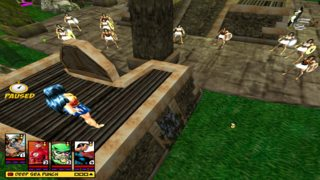 This one covers a range of topics but focuses on the addition of new characters to the mod's massive roster. 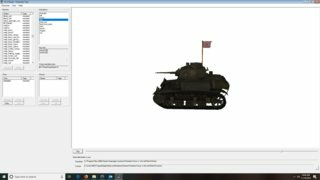 FR veterans, I'm writing this for a general audience (crossposting with my site and ModDB), so some of this is going to be very obvious for y'all. First off, I am proud to announce that I'm no longer the only storyteller that will be featured in the DCUG! Since the very, very beginning, one of my great hopes for this project was that it would serve as a springboard for others to tell their own stories in my version of the DCU. I envisioned it as a massive sandbox that other DC fans could play in and help me flesh out. Several folks started various projects to contribute, but they all eventually fell through for one reason or another, most because people just got busy with real life. 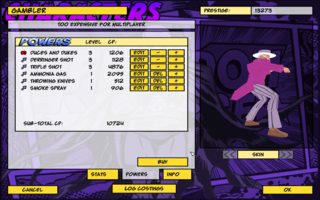 I actually still have a partially completed campaign called "Monkey Business" written up that a great guy named lmalonsof and I were working on back in the day, featuring a team-up of DC ape villains. It promised to be a blast, and I should probably dig it out and try to finish it up one of these days. Anyway, the new (and, really, only other) member of the DCUG team goes by Or Wolvie, a fellow FF modder who started a very promising project a few years ago but put it on hold after running into technical difficulties (I still hope he'll finish it one of these days!). I asked him if he'd like to tell some of his own stories in the mod, and to my delight, he agreed. I gave him his pick of characters and teams, and he dreamed up some really fun adventures for Green Arrow and for the Teen Titans. He's well on his way to having his two new campaigns scripted up, and hopefully I'll have some previews of them to share before too terribly long. I for one am really looking forward to them! 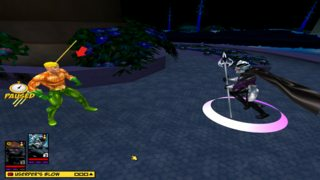 In preparation for the finale for the JLA/JSA crossover, I've been working on adding some new characters to the mod. My plans for the mission involve a host of villains of the two teams, drawn from all points in time. I find myself needing some more of the JSA's villains, as they were relatively poorly represented previously. This seems like a good opportunity to offer some reflections on my design philosophy and some info on how characters are built. It starts with tracking down or requesting the art assets for a character. At this point, almost any comic character you can imagine has been created, at least in some fashion, by our wonderful FF community. So, I created my wishlist of JSA foes, posted on Freedom Reborn, and within an afternoon, the community pointed me to where I could find all of them. 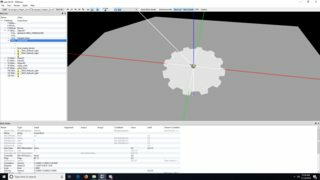 Then it's just a matter of dropping the meshes, skins, and keyframes into the FFvTTR Custom/Library/Art/Characters directory, where I can check them out with the CharacterTool. 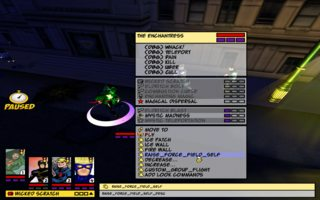 When I have chosen the ones I want, I launch the current DCUG build and use the in-game character creator, which is wonderfully flexible and user friendly, to create a character file, or "Herofile", which records and interprets their stats (like strength, speed, agility, etc. ), powers, attributes (like if they can fly or climb walls), material type, and voice. I often use existing HF packs as a starting point, but I always customize the characters with my own interpretation. 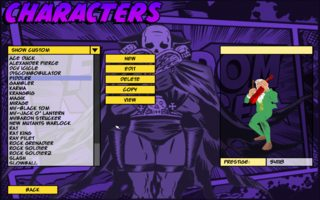 The DCUG was the first mod I ever created, and my character design philosophy has evolved a bit since I made all of its characters. Now, this means I have to keep an eye on myself so that I don't screw up the balancing by designing a character the way I did for my more recent mods like Marvel Adventures. In general, my biggest priority for the early DCUG was comic accuracy and breadth, and I would just provide enough powers and abilities to capture the character, not paying as much attention to playability and fully realizing them as I could have. Also, I took a lot of shortcuts in order to cut down on the workload of creating such a wide range of characters. I'm in the process of going back and polishing the existing characters to reflect a more comprehensive approach, and I'm building new ones with a more thorough eye as well. I put more focus on making characters interesting to play and filling each one's Herofile, giving them a full range of 10 powers whenever possible, as many attributes as made sense, and generally trying to use every available slot. So, the first new characters I was developing were JSA foes, as I mentioned, and they posed a challenge because I really wasn't all that familiar with them, having read few of their stories. Fortunately, the Internet is full of information on ridiculous minutia, like the powers of 3rd stringers like The Fiddler. My go-to sources are Ben Reily's excellent Marvel RPG page, which, counter-intuitively, also has info on DC, and the great site Rapsheet, which has info on comic villains. So, I built the Fiddler, giving him a range of powers to represent his magical violin (yes, that is a real thing in the DC Universe. Aren't comics grand?). I also gave him some neat FFX (Freedom Force community expansion) attributes that allow him to use his music to affect the actual environment of a level. He can do things like bring inanimate objects to life to fight for him. I also built The Gambler, who is just a normal human with trick guns and knives. He proved a challenge because of his limited powers. While FF is perfect for depicting super-beings, it can get a little tough when you're making normal humans with any variety or interest. Fortunately, The Gambler has enough gimmicks to keep him interesting, and I came up with a fun HF. I also started working on the old war comic classic, the Haunted Tank! That's right; after previewing the art for this formidable fighting machine in the last journal, its now actually playable, though I'll probably keep tweaking it. After I had finished my designing and testing, it was time to add the characters into the mod itself. There are a number of ways to do this. My favorite has always been a special Rumble Room (the game's sandbox mode) gametype that adds included characters to the games .dats, or data files. However, in my current Windows 10 build, that gametype doesn't work quite right, being super, ridiculously slow, so I went with my second favorite, which is Alex's fantastic Herotool. It has a 'send to dat' feature that is very strong and at this point may well be better than using the in-game method. Now, you might think that's the end of the process, but it is really just the beginning. Now comes the hard work. First, I went through and wrote all the strings entries, which provide the 'cleaned-up' names of characters and powers, biographies, and mouse-over descriptions. This is a little detail I've always been very intentional about including in my mods, and it is rather painstaking work, going line-by line, thinking up (hopefully) clever descriptions and names for powers and taglinles. Honestly, it's one of my least favorite parts of the process. With that done, it's time for customizations. 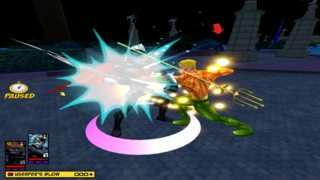 FFX has given mod makers and players an incredible set of tools to customize their FF experience. It lets you do all kinds of things that the base game doesn't. For example, The Enchantress can transform regular items in her environment in interesting ways, like transmutating a street light into a poisonous gas cloud, while Abra Kadabra can trap his enemies in a crystaline cage with its own hitpoints. Some of these FFX additions will work 'out of the box' but a lot of them require at least an extra step of customization or setup, especially some of the coolest ones. I've given several of these charaters FF1 style active defenses, meaning they've got forcefields that have a limited hitpoint pool and can actually be battered down, but that took a few extra steps and some editing of files. 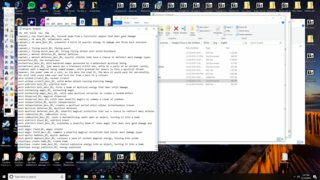 Once all of that is done, then I go through and choose voicepacks appropriate for the characters, drawing on the massive library I've acquired over the years, which was hugely expanded by VPMAX, the community voice pack...pack. Those final touches done, it's time to re-brand all of the new characters with the FFX Control Center, which helps the game identify and understand them, and then it is time to test them out! As is always the case, I was working on several things at a time, just as I remembered something or as a thought grabbed me. In my various modding meanderings, I also happened to solve a mystery that was partially responsible for me abandoning my Aquaman campaign way back when! 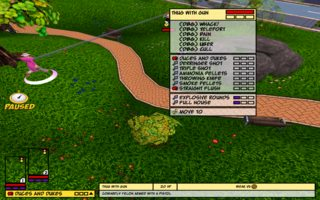 I had a lot of big plans for that storyline, and they involved trying things I had never tried before, like adding new objects and maps into the mod. 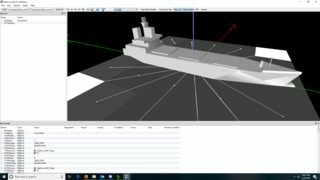 I had a mission planned that would use a huge freighter as a battle scene, and I even managed to track down a mesh for a freighter that I could use. I tried everything I could think of to get that mesh to show up properly in the game, but I never got it to work. However, my recent exprience with the map issues for my JLA campaign showed me the answer. Instead of trying to add the boat as an object, I just added it directly to the map. That still took some doing, but I eventually figured it out, and I now have a way to tell stories I've been wanting to tell for years and years! And that is all the news from the DCUG at the moment! The roster grows, and things proceed apace. Please check back again soon and see what else is in store. Look for some information about Or_Wolvie's new campaigns soon! I will absolutely take you up on that when the time comes, IB! I finally got to go through and read everything. Definitely makes me more appreciative of all of the hard work that you put into your Mods. Edit: Are you having the pinking issues with this Mod as well? Thanks CB! Yeah, and there's a 1001 little things I don't include in these journals. Ha, to do a mod right takes a bit of work, no doubt. You know, strangely enough, no. I haven't seen a single pink texture, and I wonder if it's because I have all of the meshes in my custom_character directory. Maybe my ignorance from when I started the DCUG is actually paying off. 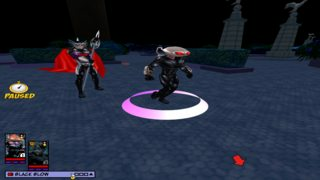 I've had a weird experience lately, where characters that I was sure I had created in the mod weren't in it. Quite odd. I want to see if I'm crazy, of if I somehow removed/lost them between here and there. 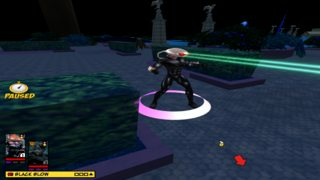 I believe that I actually have that early version of the DCUG Mod on Mediafire. I can try and PM you a link to it when I get home tonight if you want. I deleted the Mediafire version a while ago, sadly. Add Chemo to that list to check on being in the old mod, BG. He's missing from the list you compiled and I'm pretty sure you meant to include him seeing as you got the Metal Men.